Serge Betsen Rugby - A coaching programme for all. A coaching programme for all. Get into it. Join rugby. Join us. 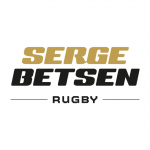 In 2014, Serge Betsen, ex France national rugby union player, created the Serge Betsen Rugby programme. Our objective? Instilling a unique and lifelong passion for sports and putting a rugby ball in everybody's hands. By positionning ourselves as a unique sports provider, we adapt our expertise to your specific needs. We build on-demand activities for young people of all ages and levels within educational structures. To learn more, check out our Book Now page, or have a look at our brochure. They've been talking about us!